The Chilliwack Sunflower Festival is an impressive Fraser Valley event that’s put on by the same folks behind the Chilliwack Tulip Festival in the spring. Weather and growing conditions permitting, the festival is scheduled to open on August 1st in 2019. Click any of the above links to jump to a specific topic, or continue reading for everything to know about the Chilliwack Sunflower Festival. The Chilliwack Sunflower Festival celebrates its second year of operations in 2019. The event features some 17 different varieties of sunflowers over 5 or so acres of farmland. The Chilliwack Sunflower Festival takes place in the fields of a farm just off the Trans-Canada Highway at 41310 Yale Road in Chilliwack, which is the same venue as the Chilliwack Tulip Festival about 4 months earlier. Coming from the Vancouver direction along the #1 Highway, take Exit 109 and turn right onto Yale Road. At Royalwood Avenue you then turn right again. The festival runs from August until mid-September. Last year it began on Tuesday, August 22nd, and ran until Sunday, September 16th. In 2019 the event is expected to open for the season on August 1st (although the exact date will depend on the weather, growing conditions and consequent state of the sunflowers). Hours of operation for the event last year were Monday to Friday from 10:00 in the morning until 7:00 at night, and on Saturdays, Sundays and the Labour Day Monday from 9:00 am until 7:00 pm. The cost of admission to the Chilliwack Sunflower Festival depends on your age, when you go and how you purchase your tickets. 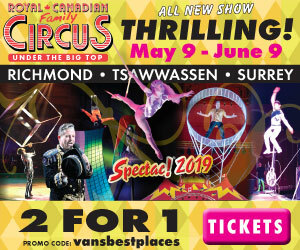 Adults cost more than youth and seniors, online tickets are less expensive than admission at the gate, and weekdays are cheaper than weekends. Below is the list of admission prices for 2018. Prices include GST and online fees. Both cash and credit cards are accepted at the gate. 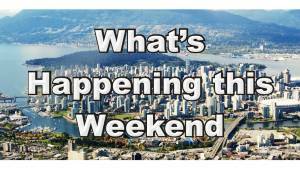 Weekend rates (for Saturdays, Sundays and the Labour Day Monday) ranged from around $7 up to $15. Weekend family passes were also available, but only when purchased online (so not at the gate). They cost $22.88 (including taxes and online fees) for 1 adult and up to 3 youth, or $34.14 for 2 adults and up to 3 youth. As you’ll see below, weekday rates (Monday to Friday) were slightly cheaper. Weekday family passes were also available, but only when purchased online (so not at the gate). They cost $14.23 for 1 adult and up to 3 youth, or $20.53 for 2 adults and up to 3 youth. Sunrise openings took place 30 minutes before sunrise on Friday, Saturday and Sunday mornings. Tickets for this cost $23.44 online and $25.00 at the gate. (Note: sunrise opening admission needed to be purchased by 10 o’clock the night before if buying online). Weekday passes cost $23.04 per adult and $17.28 for seniors and youth. They could only be purchased online and could not be used on the Holiday Monday (i.e., Labour Day). The full season’s pass cost $45.12 for adults and $33.99 for youth and seniors. It too could only be purchased online last year and was valid any day of the week during regular hours of operation. * Note: Season’s passes were only available for purchase online and only up until Tuesday, September 4th, 2018. Special rates applied to photographers planning to take serious shots, as well as anyone wanting a full season’s pass plus access to all the sunrise openings. The 2018 photographer all-access pass cost $67.19 for adults and $44.75 for youth and seniors and included admission during sunrise hours (on Fridays, Saturdays and Sundays). It too could only be purchased online. Admission to the Chilliwack Sunflower Festival cost just $4 on Thursdays last year for everyone with valid ID showing proof of residency in Chilliwack, Agassiz, Harrison, Hope and other qualifying communities within the surrounding region. At the Chilliwack Sunflower Festival you can expect to see fields of beautiful sunflowers and, on weekends, carloads of people taking photos! There are about five acres of flowers in three different main areas. At the venue last year there were three acres of giant Mammoth sunflowers over three metres tall. Weather permitting, on sunny days you could see them all facing in one direction in the morning and then facing the other way in the afternoon. Also at the festival visitors could stroll through a 1.5-acre field of Suntastic Orange sunflowers, and then admire a 1-acre show garden featuring over a dozen different additional sunflower varieties. The Chilliwack Sunflower Festival also featured a special you-pick field last year where you could buy cut sunflowers as a souvenir, and on weekends there were a couple of food trucks on site with refreshments for sale. There was no live entertainment at the festival last year, but there was a Rotary Train on weekends and some Fridays which was fun for kids. Rides were by donation (with a suggested donation amount of $1 which was a really good deal). At the Chilliwack Sunflower Festival, in addition to all the flowers to admire, there are also things to buy. Below is a list of some of the products for purchase and their prices from last year. There were also bulbs for sale at $10 per bag or 4 bags for $35. Tulips came 10 bulbs in a bag and Double Daffodils came 7 bulbs in a bag. Ice cream was also available on site, as were cold drinks and miscellaneous souvenir items. For further details about the event see the Chilliwack Sunflower Festival website. 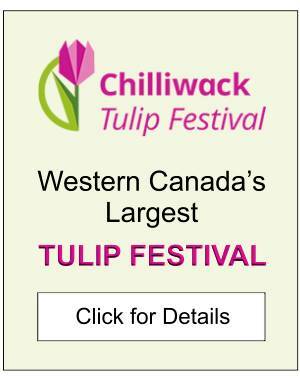 For information about the venue’s spring festival, click Chilliwack Tulip Festival. 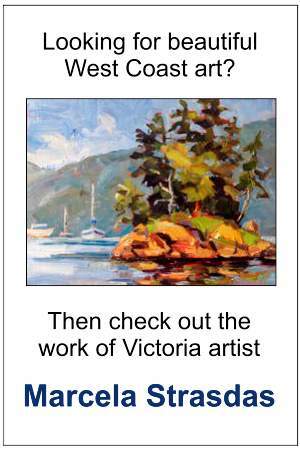 For more information about the area click Chilliwack or the Fraser Valley.